Monika strives to lead a team to deliver captivating designs through creative ideation. Designs that meet & exceed the needs of a wide variety of clients, increase perceived value, and are an integral part of successful marketing campaigns. Creativity is her passion, she enjoys working on multiple projects, and loves to make significant contributions to dynamic companies. She is talented, well-organized and deadline-driven individual who inspires a group of highly creative “out of the box” thinkers to flourish and to challenge themselves to push their creative limits. 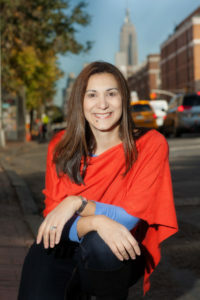 Monika’s entrepreneurial spirit and work ethic has also led her to be a founding partner with several start up companies, including one non-profit during her career. Creative M Mediais a creative agencybased in Chicago, IL. We strive to createmeaningful connections for users throughconsidered strategy and innovation inthe digital and print space.